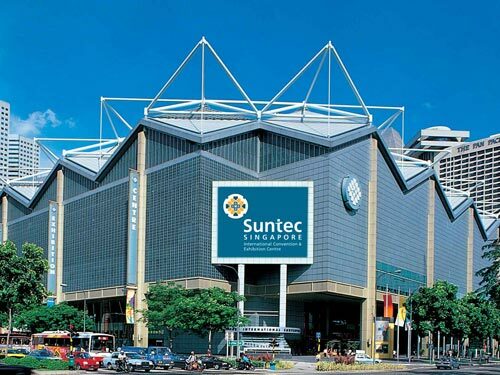 ITB Asia 2013 will take place in October 23 – 25 at Suntec Singapore. ITB Asia is a three day annual B2B trade show and convention hosted in Singapore for the past five years. The ITB Asia 2012 was attended by 8500 trade professionals from 92 countries and had 865 exhibitor organizations from 72 countries. From year to year the exhibition had an increase of 12% in attendees and 15% in exhibitors. ITB Asia opens its doors every at 10 am and closes at 6 pm. Only trade visitors can purchase a Visitor Badge either online at the online Ticket Shop or onsite at the Suntec Singapore Convention & Exhibition Center, which is 10 minutes away from Changi International Airport. The online purchase provides visitors with an 18.75% discount. Trade visitors can either purchase a 3 day Visitor Badge or a one day Visitor Badge only valid for October 25. To get a overview of the participants and exhibitors you may want to visit the Destinations and Segments page of ITB Asia 2013. You can download the ITB Asia 2013 floorplan so you can organize your participation. Before travelling to Singapore you should check if you need a visa or any other travel arrangements. You can check this out at the following link which has the information on countries requiring a visa. By subscribing to the ITB Asia Newsletter you can get the latest updates. Before you make your hotel reservations check out our rates. We are sure that you will not find better rates as we search from over 100 hotel suppliers to find the best hotel rates on the Internet for ITB Asia 2013. ITB Berlin 2013 will take place in March 6 – 10, 2013 at the Messe Berlin. It is the world’s leading travel trade show. It opened its doors for the first time in 1966. Today more than 170,000 visitors attend the exhibition, among them 113,000 are trade visitors and 11,000 represented companies from 180 countries, with an exhibition area of 160,00 sqm. The first two days the exhibition is open only to the trade visitors and the last two days, ITB Berlin is open to the general public, with working hours from 10 am to 6 pm. The halls are set up based on geography as well as market segments. Besides the exhibition, which is the major activity, ITB Berlin has developed a convention program for the last 10 years. This year the convention program includes: ITB Future Day, ITB Hospitality Day, ITB Marketing and Distribution Day, ITB CSR Day and ITB Destination Day. Special Convention events are Business Travel Days and Travel Technology Convention 2013. For the past several years the exhibition has established the term Official Partner Country. This year the tittle holds Indonesia. As a visitor one must purchase a ticket, either a Trade Visitor ticket or a General Public ticket. For the Travel Visitor the cost for a one day pass amounts to 38 EUR if it is purchased onsite or 32 EUR if purchased online. For a 5 day pass, the cost is 58 EUR if purchased on site or 48 EUR if purchased online. These can be purchased at the registration desks which are located at ICC Berlin and the Entrance South. As for the general public the entrance fee ranges from 8 to 14.5 EUR. Click here for the event program of ITB Berlin 2013. Click here for the ITB Berlin Convention Program 2013 . It is expected this year to have, both more exhibitors and visitors, so make your hotel reservations in time for EMITT 2013. Before you make your hotel reservations check out our rates. We are sure that you will not find better rates as we search from over 100 hotel suppliers to find the best hotel rates on the Internet for ITB Berlin 2013. 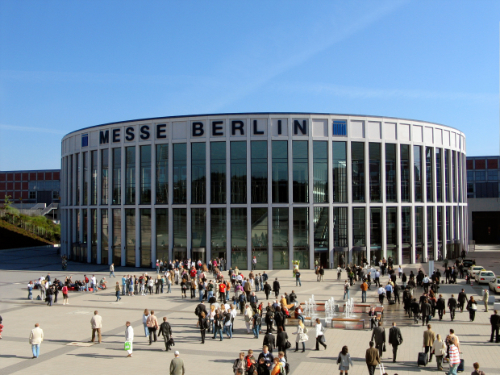 Next year ITB Berlin is scheduled for Wednesday, 05 March – Sunday, 09 March 2014. EMITT 2013 – East Mediterranean International Tourism and Travel Exhibition will take place in January 24 – 27, 2013 at the Tüyap Fair Convention and Congress Center in Istanbul Turkey. The East Mediterranean International Travel & Tourism Exhibition (EMITT) is considered to be the 5th largest tourism exhibition in the world. Last year the exhibition hosted 4,500 exhibitors from 62 countries and 128,000 visitors, of which 57,000 were travel and tourism professionals and 71,000 visitors. This year EMITT 2013 is expected to be even bigger and will open its doors daily from 11:00 to 18:00 from Thursday January 24, 2013 to Sunday January 27, 2013. The first two days EMITT 2013 will be open only to travel and tourism professionals and the the last two days the exhibition will be open to the general public. Due to the high and increasing demand for space by EMITT, Tüyap Fair Convention and Congress Center recently constructed additional halls, all of which (11 halls) are in full use, 60,500 square meters. 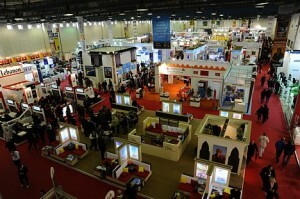 Besides the exhibition of travel and tourism professions, a plethora of activities are planned either at the exhibition stands by the exhibitors or at adjacent halls and near by venues, with presentations, press conferences, Cocktails, Theater Show, Gala Dinners and many more – like the tourism industry knows best. The Tüyap Fair Convention and Congress Center is accessible by car/taxi as well as free visitor shuttles from designated points. Before you make your hotel reservations check out our rates. We are sure that you will not find better rates as we search from over 100 hotel suppliers to find the best hotel rates on the Internet for EMITT 2013. A hotel for Detroit auto show, NAIAS, is probably the most difficult thing to find as the dates close up to Jan. 14, 2013 which is the opening day of the show. The North American International Auto Show attracts over 730,000 visitors each year making it one of the largest auto shows of North America, attracting exhibitors from all of the world to showcase their products and visitors to be the first to see the achievements of their work. The Detroit hotels are well equipped and ready to serve all the needs of the visitor and exhibitor of the North American International Auto. Specifically, their are over 5,000 bed hotels in the center of Detroit and another 4,000 around the COBO Center that host the NAIAS 2013. You can check for hotel availability based on the following criteria and be sure that you will get the best rates as the booking system checks among 100+ hotel suppliers to give you only the very best rates. Just click on one of the following links! The Detroit Auto Show, also known as the North American International Auto Show (NAIAS) will open its doors on January 14, 2013 till January 27, 2013. It is among the largest annual auto shows in North America with over 735,000 visitors, 93,000 m² of floor space, in Detroit, Michigan at the Cobo Center. 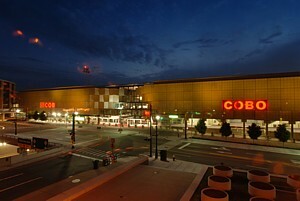 The Cobo Center is situated along Jefferson and Washington avenues in downtown Detroit, Michigan.While in Detroit, you can access the Cobo Center for the North American International Auto Show by the Detroit People Mover or you can drive to the Cobo Center and park your car at the attached parking garage. The North American International Auto Show will open its doors on Monday January 14, 2013 with the Press Preview till Tuesday, January 15, 2013. Following the Press Preview, the Industry Preview will begin on Wednesday January 16, 2013 till Thursday January 17, 2013. Visitors for the Industry Preview will have to pay a $95 per person entrance fee. During these two days children under 12 years old will not be allowed to enter, as this part of the show is strictly business – the automotive industry. Friday, January 18, 2013 is the Charity Preview of the NAIAS. The entrance fee for the North American International Auto Show 2013 amounts to $300. The Charity Preview is a high profile fund raiser, which supports Michigan children’s charities. From Saturday, January 18 to Saturday, January 26, 2013 the NAIAS is open to the public – called the 2013 Public Show. More than 500 vehicles will be on display for visitors to see the most innovative designs and trends of the future. The entrance fee for Adults is $12, Seniors and Children at $6. During the North American International Auto Show the weather in Detroit during the exhibition is expected to be cold, from 33F (1C) to 19F (-7C). It is suggested to wear warm clothes, boots, hats, gloves, sweaters and jackets. Within the area of the NAIAS (walking distance), there are some 4,000 hotel rooms and another 5,000 hotel rooms in downtown Detroit. As time goes by for the opening date of the NAIAS 2013, it will get harder to find a hotel to stay. So don’t waste time and check out hotel pricing and information from 100s of the world’s leading hotel reservation sites so you can get the best hotel rates available on the Internet. Putting in place a mobile strategy is no longer a nice-to-have, it is the essential weapon in a fast-paced and competitive sector.